Tempted though I was to start this review by anointing The Alchemist’s Apprentice my favourite fantasy novel yet, I don’t think I can actually do that. 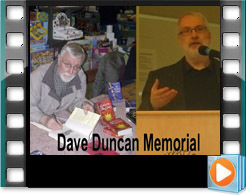 For one thing, there are about 35 other Duncan fantasy novels with claim to that title. 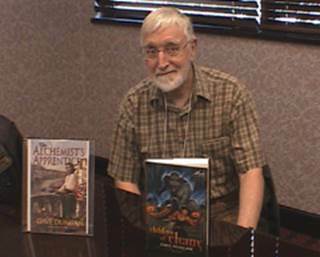 Duncan keeps getting better and better, yet I still have a soft spot for many of his classic fantasies, so it is difficult to definitively argue that The Alchemist’s Apprentice is his best fantasy novel ever. For another, I’m not convinced this is a fantasy novel, though it is clearly being marketed as such and will undoubtedly be enjoyed by Duncan’s regular fantasy readership. But swashbuckling action aside, this is really an historical mystery, a who-done-it set in the Medici’s Florence. True, there is one brief scene in which our hero consults a demon, but even here the description of the necromancy is entirely consistent with contemporary Renaissance accounts (such as that in Benvenuto Cellini’s autobiography) so feels more like ‘historical depiction’ than ‘fantasy’. And then there is the whole Nostradamus angle. Frankly, if this had been by anyone else, I don’t think I could have gotten past the back cover blurb. A novel about Nostradamus working to solve a murder in which he himself is implicated? New Age nonsense meets National Inquiry headlines? But fortunately, Duncan’s wry humour prevails and the book isn’t really about that Nostradamus – not Michel Nostradamus — but his great nephew Felippo. Duncan is thus free to characterize Nostradamus as a cranky, manipulative old fraud without having to worry about offending against true believers or historical accuracy. And it is kind of fun to speculate how Nostradamus would have fared as a detective navigating through the convoluted political and commercial conspiracies of Medici Florence. 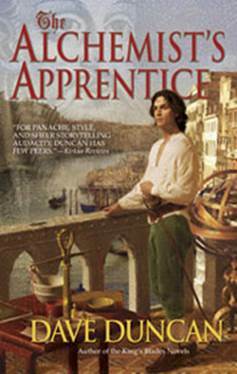 Filled with Machiavellian plotting, heart-stopping action, and convincing historical detail that makes Medici’s Florence come alive, Alchemist’s Apprentice is Duncan at his rollicking best. Originally in Neo-opsis issue 10.